University of Exeter spin off Choc Edge Ltd have launched the world’s first commercial 3D chocolate printer with the first machine put up for auction on EBay on Monday 9th of April. Using melted chocolate in the place of metal or plastic the Choc Creator works in the same way as other 3D printers, extruding material layer by layer to build intricate designs in 3D. With a simple and versatile design, the 3d chocolate printer aims to allow users to make chocolate figures up to a maximum of 175 x 175 x 70mm. Using open source 3D printing software the Choc Creator Version 1 will allow customers to simply design an object on their home computer and upload files to the printer via USB connection. With Choc Edge Ltd aiming to sell between 500 and 1000 units in the next 3 years the team are hoping to generate interest amongst British retailers and confectionery manufacturers, with UK’s largest specialist retailer and manufacturer of chocolate and confectionery goods Thornton’s having expressed an interest in Choc Creator. Unfortunately with a price tag of £2,888 (excl. delivery) and certification for home by the relevant authorities still pending, the Choc Creator is best suited to companies wishing to test the machine out rather than the average chocoholic. 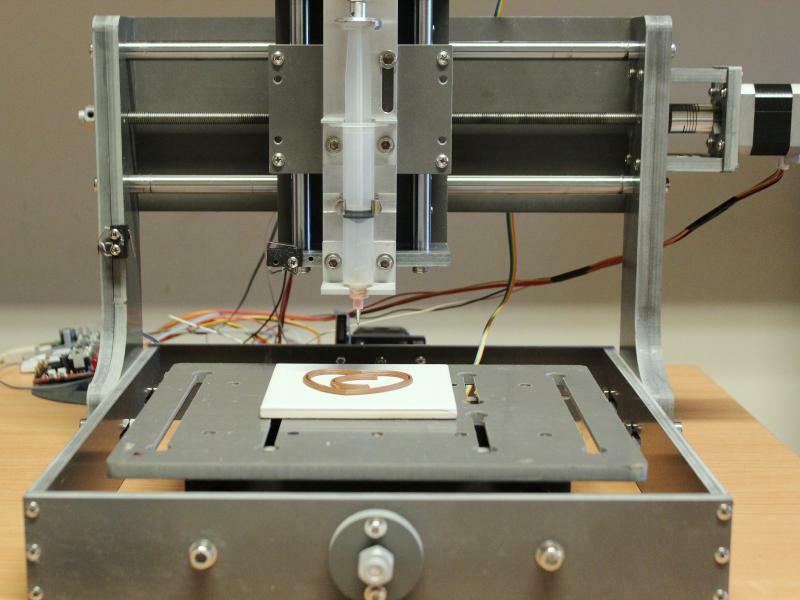 Comments Off on Students at Vienna Institute of Technology create speedy 3d printer! 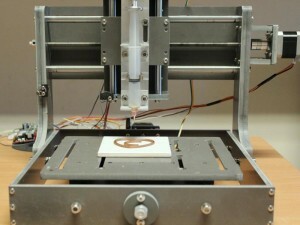 Students at Vienna Institute of Technology create speedy 3d printer! Having recently developed the worlds smallest 3d printer, the Vienna Institute of Technology has once again made its way into the headlines, this the development of a polymer and laser technique that promises to speed up the printing of minute 3D objects. The key to this technology lies in the fluid polymer developed at the university along with the use of mirrors to rapidly direct the light. When hit by the centre of the laser beam, the polymer absorb two photons which result in the activation of the molecules. This in turn leads to a chain reaction with other components of the resin (monomers) turning them into a solid. While offering unparalleled speed this 3D printer does not compromise on accuracy with the team of students successfully building a detailed micro model of the Tower Bridge along with a 285µm Formula 1 speedster. The team are hopeful that the increased speed and an ability to build much larder objects (relatively speaking) will lead to the adaptation of this speedy 3d printer in the medical industry. The 3D printer is likely to have further applications in the construction of parts of nano engineering. Comments Off on Can 3D printing make musical instruments more affordable? Can 3D printing make musical instruments more affordable? Demonstrating the potential of e-Manufacturing, Germany company EOS (Electro Optical Systems) have printed a violin! The 3D printed violin was produced in days and demonstrates how rapid prototyping technology can be applied to conventional manufacturing process across a wide range of industries as a tool for overcoming production challenges. Renowned for their artisanal craftsmanship each Stradiviarius stringed instrument has been designed to the unique and complex specifications of the Stradivarius brand. A highly labour intensive process each violin produced consists of about five hundred work steps and usually takes up to three months of handicraft time. Manufactured in a high performance industrial polymer (EOS PEEK HP3) the entire body was grown within hours on a laser-sintering machine. This form of 3D printing involves the use of a high powered laser to fused small material particles layer by layer until the 3D product is fully built. With the help of a traditional violin maker the body was then assembled and additional components including strings, fine tuners and the peg box were added. The real test came next, would the 3D printed violin sound like a violin should. To my untrained ear the project appears to have been a success (watch the video below to decide for yourself). 3D printed musical instruments may prove a popular option for those seeking an inexpensive alternative to what can often be a major investment. Comments Off on Worlds smallest 3D printer unveiled. 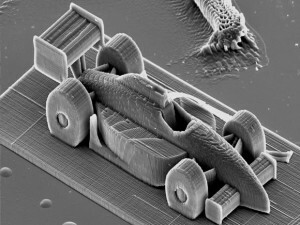 Worlds smallest 3D printer unveiled. A joint collaboration between the Mechanical Engineering and Chemical Research departments at the Vienna University of Technology has resulted in the development of the worlds smallest 3D printer. Weighing just over 3lbs and no larger than the size of a shoebox, the micro- 3D printer is capable of producing layers to less than a twentieth of a millimetre thick. The use of LED technology has allowed for extraordinary precision as the high intensity discharge lighting can be focused on highly specific locations. Despite this design challenge interest has already been expressed in this technology, with a particular interest expressed by biologists and physicians who view the potential for this printer as a basis for promoting natural bone growth. Eager to maximise on this potential Stadlmann and the team of researchers, have already created models with the dense outer structure of the corical bone as well as the internal structure s that could support life. To ensure these implats would not be rejected by the patient, the team hope to develop a compoud that while structurally sound enough to help the body repair will dissolve 3-4 weeks after implantation, leaving no remnants in the body. Upon entering, you be forgiven for thinking you had stumbled onto the set of a futuristic sci-fi movie, thanks to the range of high tech gadgets on display including a key-less entry system, autonomous robots and a mind control relaxation tool, the reality, you have just stepped into the Perera family home. The Perera’s are a normal UK family who have had their home completely transformed as part of the Channel 4 Home of the Future series. Overseen by futurist Chris Sanderson the six week transformation project filled the home top-to-bottom with cutting edge technology and gadgets. While for some this Home of the Future may appear unrealistic much of the technology fitted is not really new at all, rather it is existing technology that has become newly almost affordable. The option for example of biometric entry systems for example has been around for a number of years however until now, it has been the preserve of large corporations. With economics and ease of use continuing to play a role it is more likely than you might think that one day we all might be living in the home of the future. When workers in a quarry near Elgin stumbled upon the fossil remains of a 250 million year old Dicynodont little did they realise they would one day be able to come face to face with the worlds oldest dog. Using modern medical imaging technology combined with 3D printing Dr. Neil Clark from the Hunterian Museum in Glasgow was able to generate a physical model of the Dicynodont skull without compromising the original moldic fossil. In order to identify the fossil medical scanning technology was used including MRI and CT scanning. Through the measurement of variations in the internal density of the sandstone block the team were able to create a 3D representation of the fossil. This representation revealed the entire skull of the prehistoric Dicynodont. With 3D digital renderings of the skull, Dr. Clark then approached Rapid Prototyping bureau Laser Prototypes enquiring about the potential of creating a solid model of the skull using the Stereolithography process. The first step for the Rapid Prototyping bureau was the conversion of MRI files to a suitable file format (STL). In order to ensure the integrity of the file Laser Prototypes worked closely with the local MRI department to carefully adjust the MRI files. Once created the STL file was then transferred through Rapid Prototyping software, which sliced the image into thin 0.1mm layers and added the necessary support structures. With Watershed selected as the material of choice the sliced file was then sent to the stereolithography machine for printing. Each layer was then individually drawn by laser onto a surface of light sensitive liquid resin. Upon contact with the laser the resin cured and with the layer drawn the machine platform drops a layer. The laser traces the next layer and the process repeats until a fully “grown model” is produced layer by layer within the vat. With the 3D model built the machine platform is then raised to lift the model. Once drained the SLA skull was then washed and all supporting structures were removed by hand. By using medical imaging and rapid prototyping technology it was possible for a 3d model of the skull to be created without compromising the original moldic fossil. Dr. Clark commented “The use of medical scanners and Stereolithography has saved a very important fossil from being damaged by traditional methods of palaeontological investigations. The resolution obtained is enough to identify the species of Dicynodont represented by the moldic skull. 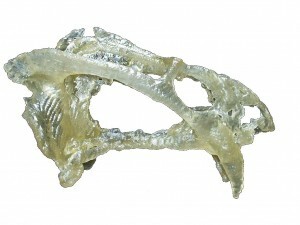 In some parts of the skull, fine structures that would have been lost using rubber casting techniques, were observed and reproduced faithfully in an exact prototype replica of the data”. The 3D printed Dicynodont skull can be seen on display at the Elgin Museum, Scotland. 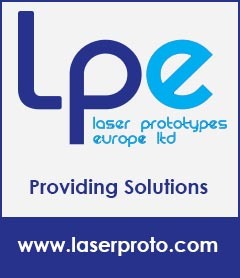 With the UK Automotive industry reporting growth in 2011, Rapid Prototyping bureau Laser Prototypes have released the latest in their series of Additive Manufacturing reports, focused on Rapid Prototyping as a tool for the Automotive Industry. Boasting a strong history the UK Automotive industry appears to be fighting back against the global economic slowdown with Nissan Renault reporting a record 10% growth in sales during 2011. Premium brands too have experienced strong growth in 2011 with Rolls Royce quoting a 31% increase in UK sales. The 107 year old Automotive giant attributes this sales increase to a strong dealership network and manufacturing developments, however it was the design launch of two bespoke collections that were cited by Rolls Royce as a key factor for the 2011 growth. With continual development of product range central to the growth of UK automotive firms, this industry report highlights how Automotive leaders such as Aston Martin and Chrysler have used Rapid Prototyping technologies to minimise production errors and speed up the traditional design process. Learn just how tough prototyping models really are and uncover the materials and processes that help Automotive designs become a reality. A complimentary copy of this report can be found in the downloads section of our blog. Despite the potential for 3D printing in the home, high machine costs and the bulky nature of 3D printing equipment have kept this technology out of reach for the regular consumer. However all that is set to change with the introduction of The Cube. 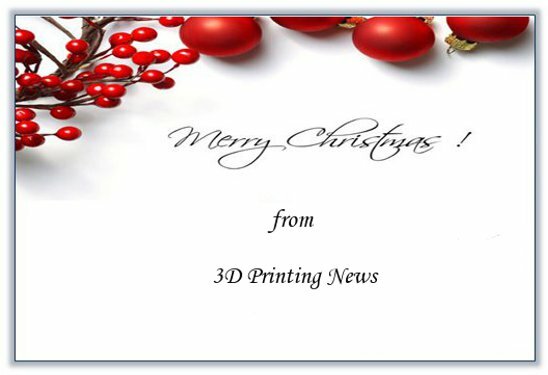 In 1986 3D Systems founder Chuck Hall, developed the worlds first Stereolithography machine, so it is only fitting that this revolutionary personal printer should come from the creative minds at 3D Systems. Ready to print straight out of the box, users can simply download their design onto the printer and watch as the The Cube prints small objects (within a 140mm build platform) in a variety of colours. In addition to catering for cost and space constraints within the home, The Cube caters for users with all levels of design experience thanks to the complimentary membership to Cubify.com, an online community which allows designers and users alike to share experiences, inspiration and (most important for those with no design experience) their designs. Comments Off on Giving 3D Printing a human touch! Giving 3D Printing a human touch! Design Academy Eindhoven graduate, Joon Han Lee has married traditional craftsmanship and 3D printing with the creation of Haptic Intelligensia. A human/robotic hybrid, Haptic Intelligensia allows the user to transform virtual objects into physical representations using tactical feedback. The apparatus consists of a closed box accessible through a pair of rubber gloves, and a glue gun attached to a haptic computer controlled arm. As with fully automated 3D printing technology, a computer drawn object is created and and algorithm devised, it is here the similarities end. The glue gun, controlled by the user is then guided via the robotic arm, which alerts the user when they are touching the contours of the virtual object through haptic feedback. Overall control of the glue gun, rests with the user who can decide how much or little glue is to be used along with whether or not to obey the sensory guide. Resulting objects are therefore entirely dependent on the individual, with no two objects ever the same. See the video link to view the Haptic Intelligensia in action and to hear from creator Joon Han Lee.